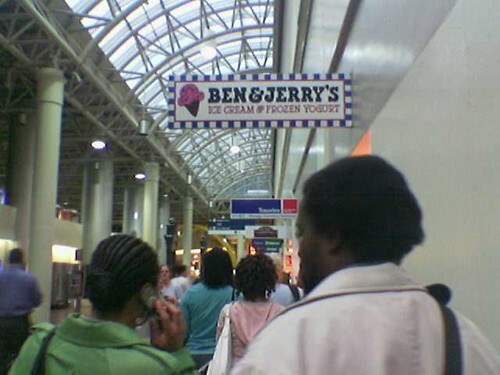 Lining up for free ice cream at Ben and Jerry’s in Union Station now. I’m getting Phish Food. Update: Phish Food was out, and wow, you know demand is high when vanilla has run out. I got Chunky Monkey instead.